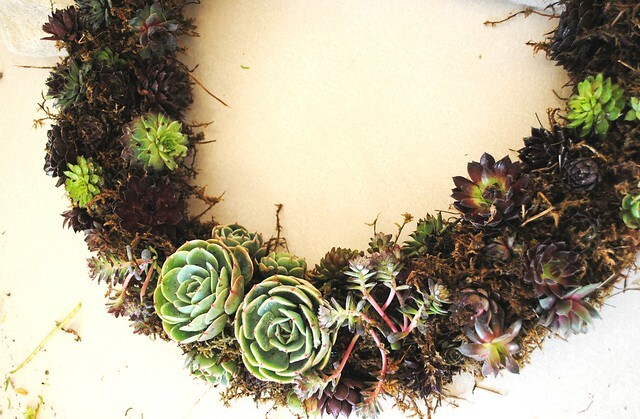 Today, I am going to show you how to make a living succulent wreath. I got my sempervivums and echeverias from Young’s Garden Center. 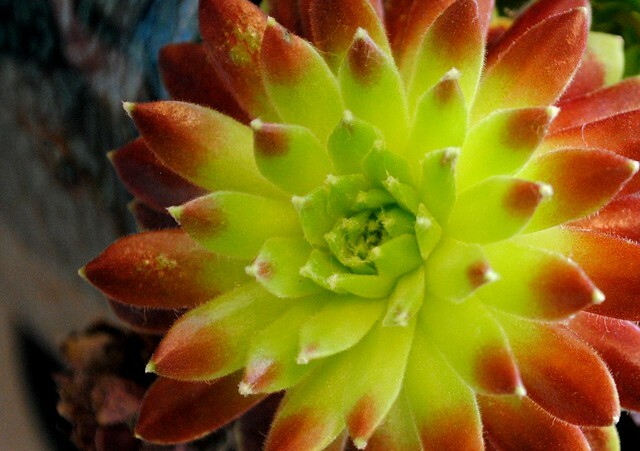 They have a great online selection of beautiful varieties of succulents. I did a big post about them before and you can learn more here. 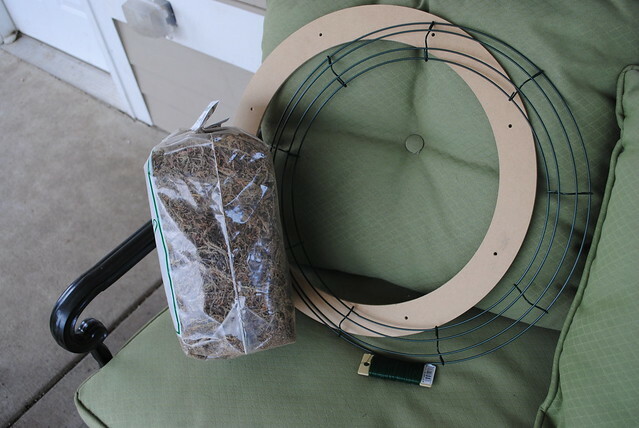 To get started, you will need sphagnum moss, a wreath frame, a wreath back, and floral wire. You can use this type of metal frame for your back as well. Mine is only made to last one season, but one you wanted to last for years you should go with two metal parts, as wood rots over time. I went with wood because my local craft shop only had one metal one left. 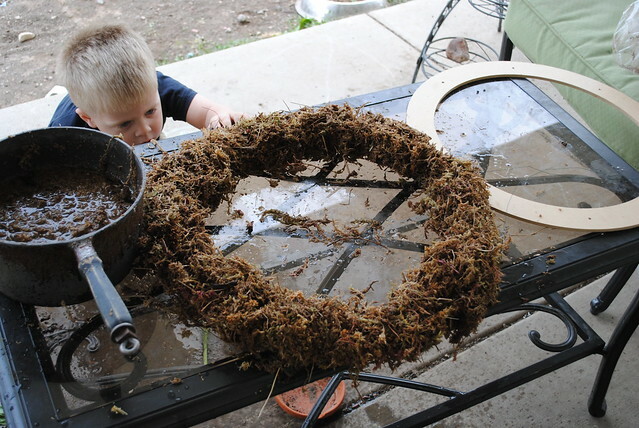 Start out by soaking your moss in water, and one it is saturated, fill in your wreath mold. Pack it in there pretty tightly. 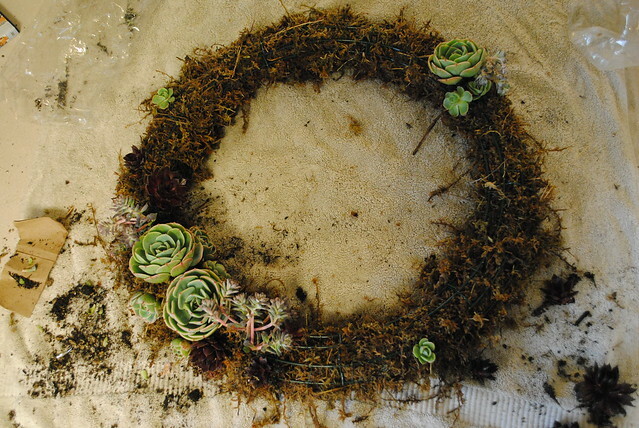 If you are making a living wreath that you want to have live for years, you can take some old nylons, fill them with dirt, and make a dirt ring to rest in the center of the moss. We have short summers and long winters here in South Dakota, so I didn’t bother with that. If we still lived in California, I would have done that step. 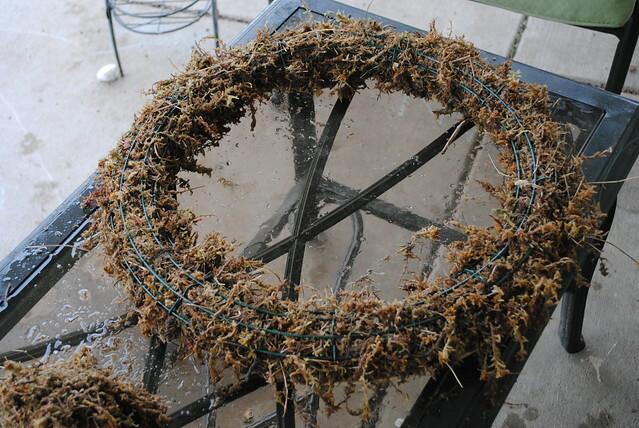 Once your frame is full of moss, put on the back and wrap the whole thing tightly with floral wire. It should look like this when you are finished. This is a very messy process, so I would make it inside. I got this far in my project and it started hailing, so I did the rest inside, and wow- was that moss was everywhere! Once you get your wreath together, it is time to put in the plants. You can use a pencil (or your finger) to poke holes for the roots. 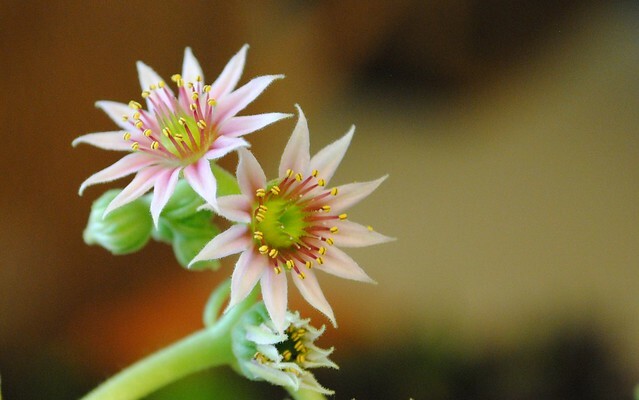 Be gentle with the plants because succulent leaves can snap off easily. 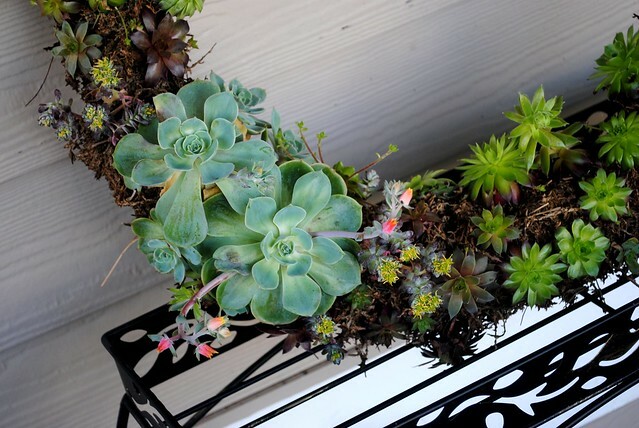 I used a combination of blue rose echeveria, carnea sedum (which is the most beautiful sedum I have ever seen in my life, bar none), and a variety of sempervivums, including bronco, pruhonice, sir william lawrence, and several others. It is important to note that the colors on semps can change due to the season or light exposure, so the semps you get might not look the exact same for a few months, or they may quickly fade and them come back greener or more purple or red than when you bought them. It is fun to watch the seasonal changes! You can see how I packed my plants in. Now comes the hard part. 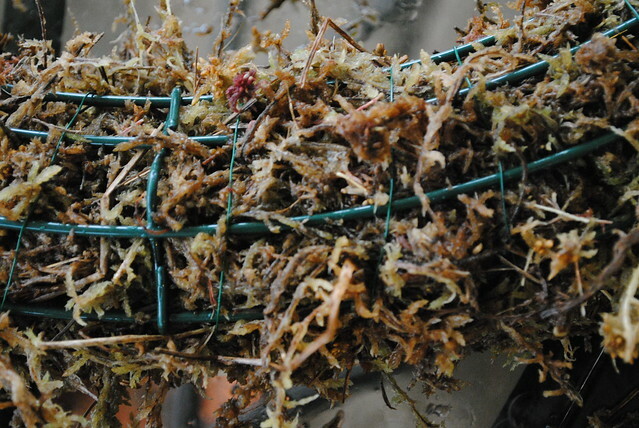 You have to wait for the roots to take hold of the moss, so you need to find a bright, temperate location for the wreath to lay for 2-3 weeks. If you have plants that fall off, gently tie them in place with some wire. My wreath had to endure the rooting process inside by a bright window because we have had many cold, rainy days and nights dropping below freezing. Many sempervivums and sedum are frost hardy, but there is no sense in torturing a plant that doesn’t even have roots working yet. Succulents like lots of light, so being in doors through so many dreary days was tough on my wreath, but it is doing ok.
One of the most important factors to consider is water. Keep the wreath damp for the first few days, then allow it to naturally dry. Once it seems pretty dry, soak it through. You will need to do this every 3 days in the beginning, then slowly lengthen the amount of time in between waterings to two weeks. If you are doing this inside, you will want to let it sit outside during the day for a few days prior to officially moving it outside, just to acclimate it to the weather. Just as you would harden off seedlings, harden off your wreath. If you take a close look, you will see that the larger echeveria has stretched out as far as it can. Now that it is outside getting lots of sun, it will stop being so elongated and go back down into its more natural form. I think they are pretty either way. Many of the semps changed colors, based on lack of light and a season change. It will be really fun to watch this as it progresses through a hot summer! And look! It’s blooming already! 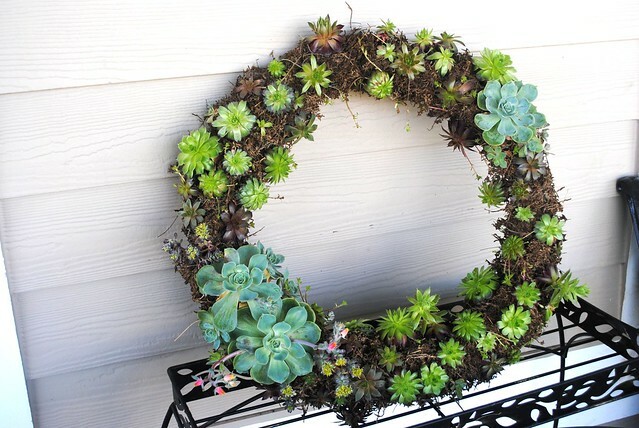 Get your plants for your very own succulent wreath from Young’s Garden Center today! You know how when something hurts, people have the tendency to grab it? You stub your toe and your hand immediately goes to your foot, and you end up hopping about on one appendage until the initial shock has worn off. A woman in labor often cradles her contracting abdomen- this is considered normal. Hit your elbow on the counter top? Soothe it with the other arm, rubbing the pain away. Toothache? Hold your jaw in your hand. Normal pain reactions all. So what do you do when you’re recovering from a hysterectomy and rectocele? You get a zing of pain through the afflicted area- and you can’t just walk around clutching your va-jay-jay until the pain wears off. I chased Gabe around the chapel last Sunday because he was being a stinker before church, then sat down and endured both the sermon and horrible stabbing pains shooting up my girlie bits. 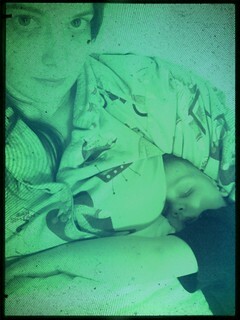 Instinct says- hold the owie. Propriety says squirm quietly in your seat with tears in your eyes and don’t draw attention to your reproductive organs EVEN IF YOU ARE DYING. That’s what I do. But sometimes at home, when I’m all alone, I grab it. Can’t help it. Also- I hit the 8 week mark! I started lifting again! AND NOW I’M IN PAIN AGAIN. I’m going to go hold my bits and watch a movie. I have been feeling inadequate lately. Part of this stems from two months of sitting around doing next to nothing, and part of this is just me feeling, well, kinda normal.And I am normally inadequate. I can’t figure out why we just can’t run at the same pace other people do. I feel like I’m not accomplishing much, and I look at people who are up early, like I am, who go all day, like I do, and then who fill up every evening with meetings and classes and plays and activities- which I DO NOT DO BECAUSE I CAN’T TAKE IT, and then I feel not good enough. Also, I have set some pretty broad no drama, no muss, no fuss rules in my life and household because I can only take so much emotionally. This is healthy self preservation. I just refuse to deal with certain types of people and events that I know are going to do nothing but take away from my energy. Some things I have to do. 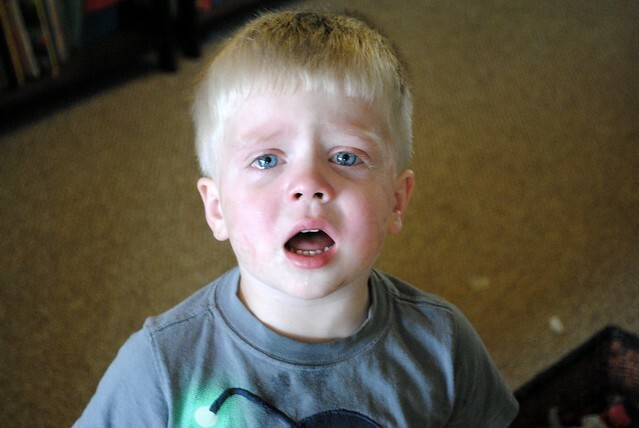 Right now, I have to have a screaming three year old in my life- I do not have to have high-maintenance, high-drama relationships with people who have a high potential for combustion- so I don’t. I’m fine with crazy friends who takes as much as they give. It’s the users I just don’t bother with. Basically, I know how much energy I have to function with. I know it isn’t much, and so I try to use it only on the have tos and the want tos, and not the feel-obligated-to-put-up-with-this-crap-stuff. Even so, I feel like a slacker. I told Chris that we need to start doing things on the weekends. Don’t get me wrong, we do stuff. Sunday is always church, and the house usually gets a little cleaner on Saturday- but we don’t plan a whole lot of fun stuff. Very few family field trips. We’re boring. Then this past week came along. We managed to have an evening activity that kept us out until after nine pm wed-sat, and then a piano recital after church today. I’m pooped. I don’t know if I can keep up and retain my mental health. Granted, every week isn’t like that. We usually don’t have more than two nights that get busy, and I protect that like crazy. My kids aren’t involved in oodles of activities because I will lose my mind if every day has an event. Am I a bad mother or a smart mother? Some days I’m not sure. So I must know- I am a huge wuss because I literally want to just shut down every evening, or is that pretty normal and the handful of overachievers I hang out with are just blessed with a greater capacity to do stuff than I am? 10 Comments on Time, Energy, Balance- ? I woke up completely exhausted today. I love teaching early morning seminary- I really, really do- but the early part of that equation has been extra challenging lately. I went back to teaching a little before I ought to have, but I was so eager to do something that made me feel like me again that I jumped back in, almost out of desperation. It really wasn’t from feeling overly-obligated; I had a very good sub lined up and she was willing to keep going. I just can’t tell you how great it is to start the day off with the gospel and the correct attitude and perspective on life. I’ve had a hard time keeping that perspective lately. Today has actually exceeded my expectations. I over did it yesterday, so I really have been just drained- but I did several of those little, annoying tasks that I hate. Tasks involving paperwork and phone calls, tasks that jab like thorns until you finally get them done- I barely got off my bum, but I have several of those little things no longer hanging over my head. Of course, I also spent several hours just laying on the couch doing nothing, and that was good too. I also washed my bedding, which was a big deal when you consider how hard it is to make and unmake a bed. I would really like to clean up my kitchen, but my energy for the evening is probably going to be sucked up by getting the sheets back on the bed and the duvet cover re-attached. I know, what an interesting life I lead! On another note-Watson didn’t get neutered yesterday because the base vet’s office neglected to tell us the correct time to arrive. Now we are waiting another five weeks because they can’t get us in any sooner even though it was their fault. Why even tell us he is having 9am surgery when you want him to arrive at 8 am? Ugh. Frustrating, indeed. The best thing is that I have had a good mood day. That may seem silly to say, but there have been a lot of unhappy days in the past week (all those crazy hormones) so I am grateful to have a day where I feel more like myself, proactive, sensible and able, even if tired and not yet completely well. 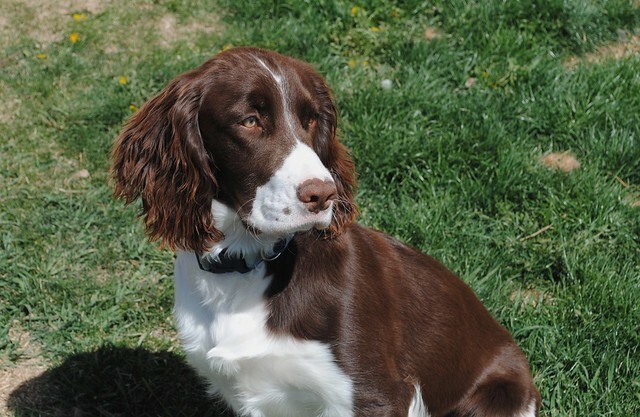 I have my 6 week check up tomorrow- only two official weeks of recuperation left after that (although in unofficial weeks, we are looking at quite a few more of leveling out and rebuilding strength and stamina). I’m hoping all is well and that I can progress as planned. I’m hoping I can move on to something a little more interesting to blog about as well ha! 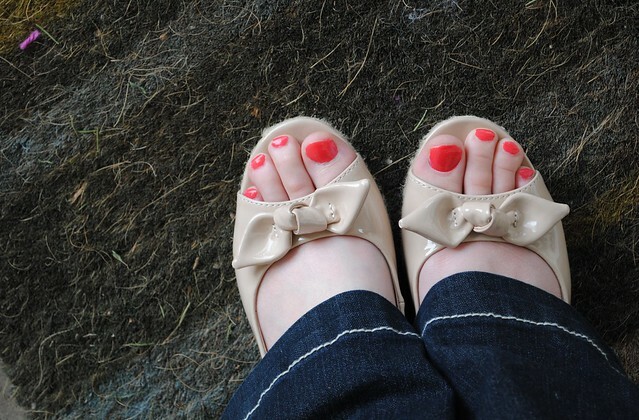 New shoes-also did the girl thing and painted my toenails. Maggie is so proud. I was driving home two days ago when I felt some odd twinges of pain in my lower right abdomen. 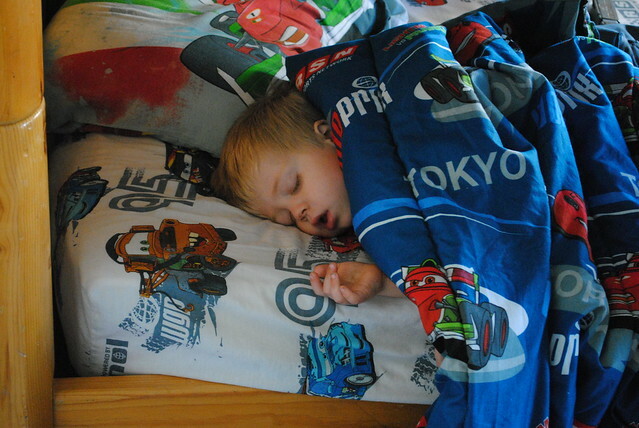 I didn’t think too much about it (being pretty well distracted by all of the other post-surgical discomforts and nasty, nasty RSV cold symptoms that I caught from my boys), until later that evening when it went rapidly from uncomfortable to so painful I could barely see straight. It ended up being a very long night. I was having difficulty moving without making the pain worse, and it was radiating all the way down my legs and to the other side of my middle, as if the location with the actual problem just couldn’t contain that much torment. The pain wasn’t originating from my surgical site, and given the amount of laxatives they give a person in my condition, I was pretty sure it wasn’t constipation. The only other things located in that particular area are an ovary and my appendix, both of which can be problems. I really wasn’t sure what to do. I just knew that the very last thing I wanted to do was have another surgery. I’m capable of coping with quite a bit, but starting the whole surgical process over at this point is just more than I can handle gracefully. In fact, I’ve had this recurring, minor panic attack for the past five weeks where I get told something isn’t right and we have to do it again. These nightmarish fantasies are usually followed by thoughts of changing my position on human euthanasia. About the time I was trying to decide if I should go to the ER, try to sleep, or just shoot myself, my friend called and asked me if I could take her daughter (one of my awesome seminary students) for the night because she was in a bit of an extended family pickle and needed to suddenly leave town. 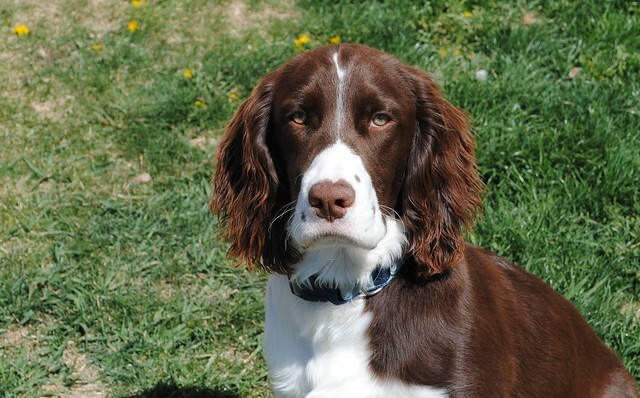 I agreed to take her, not just because I’m a really good friend, but with the ulterior motive of having a living, breathing babysitter at my beck and call for the increasingly likely chance that I would need to leave the house for medical attention in the middle of the night. I get no points for altruism. None. What. So. Ever. By the time they arrived twenty minutes later, I was just about seeing double and couldn’t stand up straight. I tried to go to bed after that, unsuccessfully, as every tiny movement left me just writhing and moaning. I finally vomited because the pain was so intense. That has only happened once before, and it involved natural childbirth, a situation where being in so much pain that you puke isn’t so much of a stretch. I tried to get to sleep, miserable in my bed, but almost incapable of moving to anywhere else when it dawned on me that I had leftover hydrocodone from the hysterectomy. I managed to half walk- half crawl to the kitchen, pop two pills and then settled back down where a sweet, fuzzy bliss settled over me. The pain wasn’t gone, but it was so much less, and after another hour or so, after some very drugged high- very, very high Facebooking in which I shared my pontifications on the blessed state that would befit the inventor of narcotics, I fell asleep. The next morning, the pain was significantly reduced, but still pretty uncomfortable, so I visited my PA, who did a great job of inducing panic when she read my chart and then told me that my ob/gyn had taken my ovaries along with my uterus. Medically speaking, “total hysterectomy” does not mean ovaries too. It means both uterus and cervix, as opposed to a supracervical hysterectomy which means they leave the cervix. Oophorechtomy, on the other hand, is the removal of the ovaries, and is technically a separate procedure. (Yes, I am geeky enough to know this, and even knew it before I had to have surgery. I am that nerdy, folks). Now, you and I really don’t need this information, but medical professionals who read people’s charts really should know this, so they don’t freak out their patients. Thank heaven I knew what total hysterectomy meant, or I would have been forming a malpractice suit in my head, rather than focusing on the pain. My PA sent me across town to the radiology center, so they could take a CT scan of my abdomen. The radiology people wanted me to not eat for four hours prior to the scan which would be in four hours. So even though it was past lunch time, and I hadn’t eaten since eight am, and I had been vividly imagining downing a Frosty all the way through this appointment, I was good and ate nothing except a quick tic-tac out of sheer spite. I suppose being hungry was a blessing since I had to down a huge, fairly repellent barium smoothie before they could do the exam. The scan proved that I do, indeed, have ovaries, and that one of them had a cyst. Dr. Buehner confirmed the cyst the next day by poking it with an ultrasound wand. I’ve had many ovarian cysts, so this wasn’t that big of a surprise for me. I had one that was seven cm when I was expecting Gabriel, which I jokingly referred to as Gabe’s little “cyst-er”. Ovarian cysts are wickedly painful, but I’m used to those and can deal. Cyst small enough to avoid surgery? No problem! In fact, since the possibility of an appendectomy and all of the other horror story options my PA had brought up were off the table, I was completely stoked! Just an ovarian cyst! 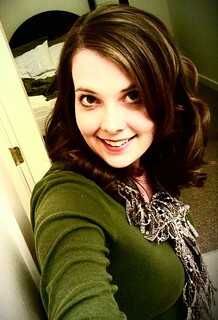 Just mind blowing pain for a day or two, nothing surgical- LET’S REJOICE! Today I laughed really hard. The look on my man’s face was priceless- a mix of shock, horror, confusion and the clear question of whether or not I had lost my mind. He insists I did it on purpose, but I didn’t. It made my evening though. Ha! 2 Comments on Chickens? What?